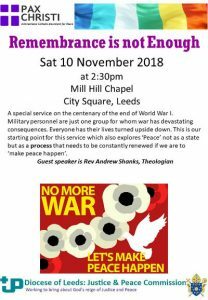 A special service of more than just Remembrance on the eve of the centenary of the ‘War to end all wars’ is taking place on Saturday 10th November 2:30pm – 3:30pm at Mill Hill Chapel in City Square, Leeds. The guest speaker at this service will the Anglican theologian Andrew Shanks. 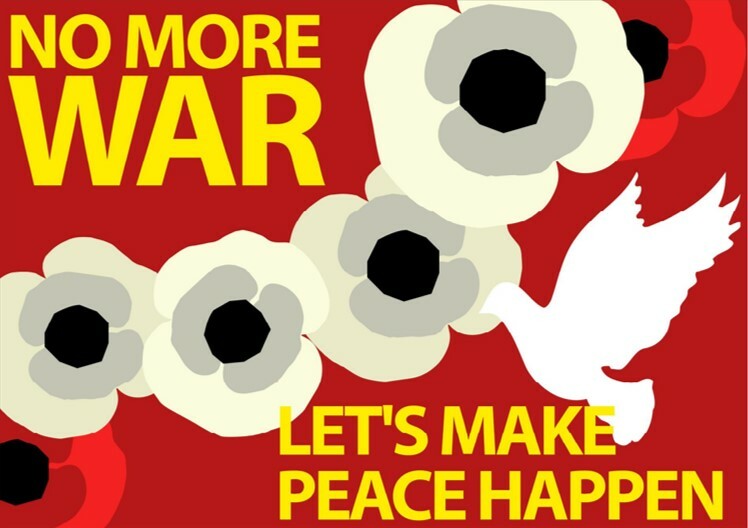 The Justice & Peace Commission are working with the Leeds Pax Christi Group to put on this event and prepare a special liturgy booklet that is being shared across parishes in the Leeds Diocese. This entry was posted in Events, Peace. Bookmark the permalink.